After weeks of tracking the unpredictable shenanigans of a volcanically-inclined mountain, after some reflection and calculation, and though my intended departure (to visit family in the US over the holidays) looms three weeks yonder, I decide to leave my home in Bali – not without reservations, uncertainty, sadness and stress. While I island-hop and mean der across the Indonesian archipelago, crossing the equator and heading ever more northward, the island’s revered Mount Agung remains (still today) largely dormant and undecided. No time for proper goodbyes. I pack quickly, realizing for days afterwards that I’ve left a pile of essential items at home. I also haven’t changed the sheets or the water fi lter; and I’ll find out soon enough that in my absence the house has run out of electricity. I have no clue of what awaits me. On the eve of my leave, the only plan in place is to ride a ferry to Lombok (Bali’s neighboring island to the east) with the faint hope of boarding a flight the day after – w ith no certain destination. One possibility: the Special Region of Yogyakarta (aka Jogja) located in the center of Java, the large island situated west of Bali; an artsy city I’ve yet to visit, whose specialness apparently resides in the fact that a royal family still reigns. I dimly expect to wait out a few days in Jogja, in the vain hope of returning to Bali for a short while before heading overseas. And so, the journey began. An app-hired motorbike driver (ojek) in Ubud drove me to a shuttle pick-up spot, where a rickety van (c/o its morose-looking driver) shuttled me to the coast, where the cargo-bike-and-pedestrian packed ferry awaited. It left more than one hour late, with Bali’s cloud cover, ominous-looking in spots, receding ever m ore into the distance. I was (and not only in a literal sense) at sea, feeling forlorn; a sentiment that seemed reflected in the faces of other passengers. As if noting the general semblance of heartbreak, Samuel the shipman brought out his guitar, serenading us, at first with mournful melodies, followed by more joyful songs (albeit terribly out of tune). Arriving in Lombok much later than scheduled, a taxi driver (who belongs to a communal group that is akin to a union or, perhaps more precisely, a motley gang) was hired. My preliminary instructions (let’s go to Mataram – the capital), were revised mid-way, when I discovered that the only flight to Jogja left at 6 a.m. the following morning; rendering it ludicrous to overnight so far from the airport. The cheerful driver accommodated my abrupt change of direction, and made a beeline to the airport, where a security guard took pity on m e, and led me to a room normally used by the military. There, I lay uncomfortably for hours on a hard bench covered in packing cardboard while a ventilation unit above my head emitted a whirring sound tainted by the scent of a noxiously perfumed freshener. The short flight to Jogja curved around Bali. No sight of ever-ambivalent Mount Agung: to blow or not to blow. As if I needed to be reminded of how densely packed thi s country’s archipelago is, hovering above Java’s eastern flank, then approaching Jogja’s airport, a few volcanoes came clearly into view. For the following five days, I lived in a near-constant state of limbo, hoping a permanent calm would return to the slopes of Agung. I vacillated every day; many times each day. But finally, I relented, deciding to continue my slow crawl towards the north-western tip of Java, and beyond. The Jogja-Jakarta not-so-express train traversed a wide swath of Java’s rich and fertile lands. Teak trees stood firm while palm trees swayed and banana leaves dangled, sliced through from breeze or rain. Goats, chickens, sheep and cows grazed, while tanned and muscular octogenarian farmers labored, tilling fields and plan ting rice paddies – many of which neighbored mosques or a large patch of gravestones, shaded by the flowering petals of frangipani trees. Birdhouses, raised high above flooded plains and fields, diverted winged creatures from pecking on sprouting grains. Water buff alo plodded through muddy tracts of earth. Burning piles of trash. A graveyard of broken-down cabooses. A hodgepodge of tin and wooden-walled hovels fronted the tracks, where girls played fiercely and boys flew kites fearlessly. Candy-color painted homes. Laundry, hanging close to the rails. Women in burqas and jilbabs, riding side-saddle. A trio of girls, in full Muslim dress, sitting on a group swing. Inside the train (“bisnis” class an ostensible re-naming of economy class, its windows held to frame with epoxy and duct tape), ventilation units spewed out coolish air tinged with a noxious tinge of perfumed, synthetic air freshener. In the far distance, a whole range of volcanic mountain came into focus, each of its jagged-edge caps swathed in a billowing cloud. Jakarta is a sea of vehicles and smog. I take refuge in my friend’s high-rise apartment, barely leaving, and only then to walk the 10 minutes to the neighboring mall inexplicably named after a city in Morocco. For food. For a haircut. For a change of scenery. Otherwise, for more than 36 hours, while mayhem happens outside, I remain comfortably housebound, eyes glued to laptop and book. The flight from Jakarta to Singapore means many things. Chiefly this: Crossing the equator. No going back – to Bali. With a new Indian friend, I dine twice in Little India. We arrange to watch a Tamil film – until the ear-shattering volume sends us running from the theater. From this new friend, I learn about Tamil culture, about his experiences living in the city of my birth (Montreal), and about how the Chinese concept known as Kiasu – or the ‘fear of losing (out)’ – has become a potent and problematic issue across Singapore. It’s what drives typically competitive parents in the city-state to push their children beyond their limit of academic and athletic excellence, sometimes leading to tragic results. Over the few days I spend in Singapore, other than a few errands – Chinatown for crypto, Orchard Road for a SONY charger – I do little more than write; filling out forms, writing letters, digging ever more deeply into a book veering towards its finish line, and replying to a pile of emails so delayed they’ve sprouted (virtual) cobwebs. From Singapore, next stop is Bangkok. Ground zero for my regular (but long overdue) medical checkups – two days’ worth, this round. I exchange holiday gifts with the doctor’s wife. Gorge on the best of Thai stre et food. And befriend a Thai-British woman who offers to shlep my roller suitcase up and down stairs while we ride the above-ground BTS. My impromptu adventures through Southeast Asia comprise an exercise of constantly changing circumstances: Country. Currency. Language. Culture. Food. And flip-flopping back and forth over time zones. I spend much of my time seeking out flights and lodging, trying to stay one step ahead of the unexpected (and occasionally undesired) TA-DA! around the next corner. Assured, despite all the bumps and hiccups, and thanks to my previous years of travel across the regi on, that all will flow in the right time and way. The long haul from Bangkok takes me through a Beijing airport void of any services or dedicated lines for disabled, then arc-ing over the Arctic circle (and through too many hours of turbulence) towards Washington, D.C.: Yet another locus of threatening, gurgling, spewing, belching, eruptions-in-waiting that right here are very much still order of the day. Beautiful blog post, Amit. Happy Holidays to you and safe travels for your return home. Thanks Arlèna! Happy holidays to you too. Amit this caught in limbo blog post rings familiar as does the hop hop hop of one day here and another day there, stops across the South East Asian map. Your beautiful prose serves to accentuate a certain breathlessness and we look forward to reading what happens next in your travels. Our son who was visiting Sri Lanka had tickets to go to Dempasar first, but due to the volcanic activity we diverted him literally 24 hours before he left, and rerouted him to Thailand’s beautiful beaches. Turned out to be a good rerouting as beaches is what they were really after. Hope you get to return soon to your little spot of Balinese paradise in Ubud. Thanks for your comments P & B! I am equally enjoying reading about your travels and home life in Sri Lanka. 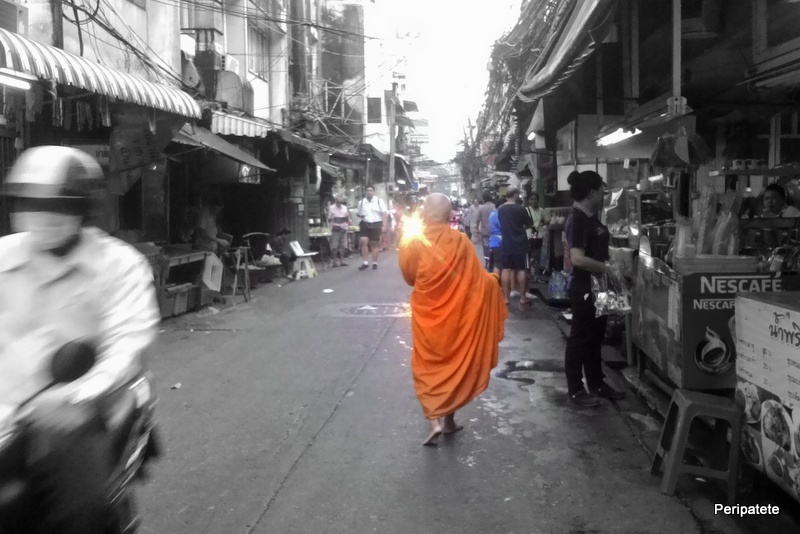 Thailand seems to be the chosen destination for many who were diverted – or opted themselves. Glad they enjoyed the beaches there.. GOOD choice!